A bad*** Latina with beauty and brains. Mariana Adams-Foster is one of the key characters on FreeForm's hit series "The Fosters" and its spin-off "Good Trouble." She's short, she's feisty, she's smart and she's pretty. Let's dig in deeper to find out what makes Mariana a girl boss and why we need to appreciate her more. Mariana, and the actress who plays her — Cierra Ramirez — is a proud Latina woman. And she doesn't play the bad guy. That's worth celebrating. Mariana faced discrimination in her STEM club in school... but she still winds up going to MIT. Who says women can't be powerful and rock pink lipstick? Not Mariana. Mariana can sing and dance. She plays Juliet in her brother's musical rendition of Romeo and Juliet and she leads her own dance team at one point in the show. Don't forget, this girl is also a math and science whiz. Her future boyfriend takes her on a date to a Mexican street fair. Mariana assumes he is being racist and assuming that just because she is Latina she must be Mexican. At the time, Mariana also has her hair dyed blonde and she thinks he is trying to get her to feel insecure about her heritage and her dyed hair. None of these assumptions are true, but it lets viewers know Mariana is not afraid of shutting someone down for the right reasons. When the high school she and her siblings attend is threatened to become a private school, Mariana starts a movement to prevent that from happening. Does this list perfectly encapsulate all the reasons Mariana is an A+ girl boss? No. But hopefully it inspires you to reevaluate your favorite female characters and why they're girl bosses, too. The streets of Cairo, Egypt erupt with protests over politics. There's one man giving a voice to those without power. 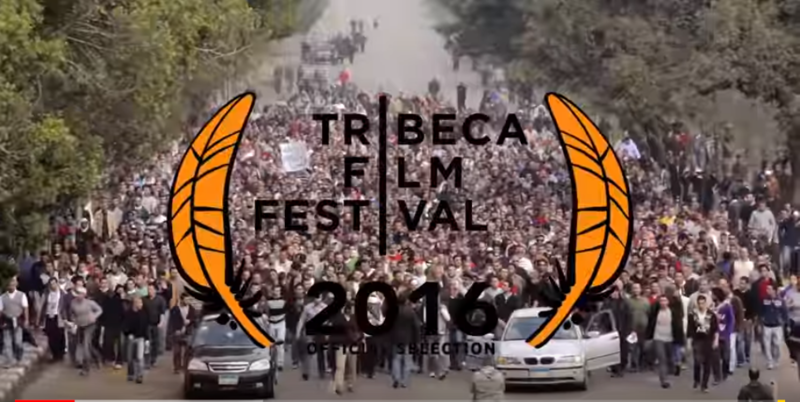 He is representing the people through satirical comedy, directed at the ruling elites. That man is Dr. Bassem Youssef, and he is the subject of Sara Taksler's extraordinary documentary; "Tickling Giants". 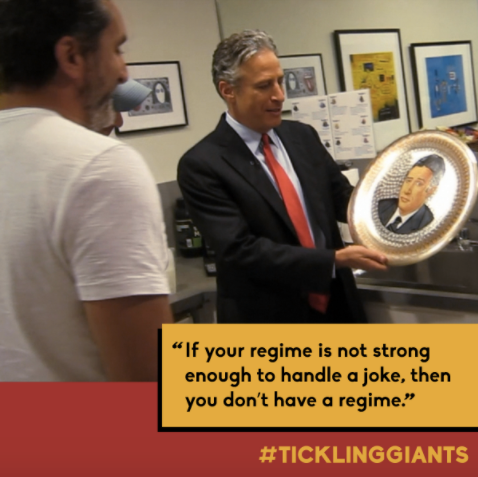 "Tickling Giants" follows Bassem Youssef (the proclaimed "Egyptian Jon Stewart") as he pushes the boundaries of Egyptian regimes in a political satire comedy show. As the only one of it's kind in Egypt, "The Show" garnered over 30 million views each week, accounting for more than 40% of the Egyptian population (to put that in perspective, "The Daily Show," Americans ultimate political satire comedy, only reached 2 million views at the height of it's popularity)! Egypt is not a country known for their freedom of speech and tolerance of dissent, so Taksler, the film's creator, was fascinated by the work Bassem Youssef, a heart surgeon turned YouTube comedian turned late night television host, was doing in Egypt. She could never have predicted what was to come. If you're at all familiar with "The Daily Show" with Jon Stewart/Trevor Noah, then you know it's a comedy show based on intelligent and sometimes scathing satire. And as someone who used to watch it almost daily, I can tell you, it was hilarious. Bassem Youssef models his comedy show, aptly titled "The Show," or "AlBernameg" in Arabic, off of "The Daily Show," but the stakes are much higher in Egypt's authoritarian regime. That doesn't stop Youssef and his team from giving comedy their best effort, and the result is a laugh-out-loud journey of jokes, success, and some of the hardest setbacks in the history of comedic television. "Tickling Giants" not only tells the story of Youssef, it also chronicles the efforts of his staff, the evolution of his show and the changing political environment of Egypt. With beautiful and eye-opening footage, as well as a collection of interviews with both supporters and protesters alike, there is not a second of the documentary's 111 minutes wasted. Fans of satire and drama, political news and late-night tv alike will find something to love in Taksler's masterpiece. 3. It’s a cautionary tale. "This show is about holding authority accountable, regardless of who's in charge." Youssef can be found saying in the trailer and publicity events beyond. This documentary and Youssef's journey perfectly show the dangers of a regime that is afraid of comedy and demonizes/tries to limit the press. It quickly shows the erosion of rights that we take for granted in the Western world and clues us in on just what we need to notice in order not to lose those rights. Words are powerful. And when an authority in power tries to inhibit control, it may be time to start "tickling giants". 4. It's got some fun animation. On staff at Youssef's "The Show," there was an expert animator who contributed his talents to the film. These drawings perfectly encapsulate what the documentary, and Youssef's actions, are about. With huge Godzilla-like dictators stomping on cities to Youssef's character running around the streets brandishing his feather like a weapon, these little scenes add a whole new element unique to many documentaries that come before. Everything about the documentary is well-put together, well-said, and all around expertly done. With clear film from interviews, snippets of Youssef's show and footage from many riots and protests throughout the streets of Cairo, it is no secret that this film is built to last. And last it should, because it's messages and ideals are a privilege for anyone to learn (more on that below). 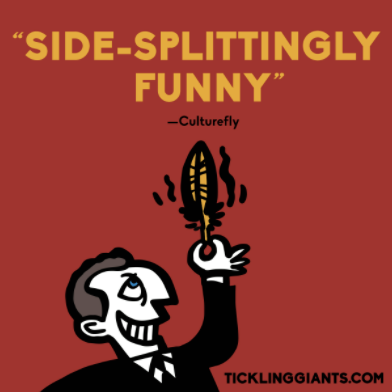 "There's a lot to laugh at, and to learn from, in Tickling Giants," says New York Times critic, Ken Jaworowski. Director Sara Taksler would agree. I got the chance to meet her, and besides her well-spoken ideals about the power of comedy in the political sphere, she told me that if nothing else, the main lesson she wants to impart on people through her film is this: "Find creative, nonviolent ways to express yourself when you see an abuse of power." This is what Bassem Youssef is doing through his show, and as you observe his journey from surgeon to late-night comedian, you'll begin to fully appreciate the life you have and hopefully come away with these 5 takeaways. It's obvious to many that Western powers largely possess a certain stereotype and stigma around the Middle East. These prevailing generalizations many hold, from ideas of Middle Eastern culture, religions, peoples, etc., can prevent us from really attempting to learn about different parts of the world. "Tickling Giants" gives Western audiences, who Taksler often stated was her target audience for making this film, a chance to peer into this other area of the world and realize that culture and people are not something to be stigmatized, but something to be appreciated and understood. Not only is it opening eyes to another culture, the film also reminds audiences how lucky they are to have free speech, an idea that's under attack in many areas of the world. Youssef's struggles throughout making this show (of which we see plainly through the lens of the documentary camera) remind us just how powerful our words are, and to not take them for granted. 9. It's easy to get. I'll let that point speak for itself. 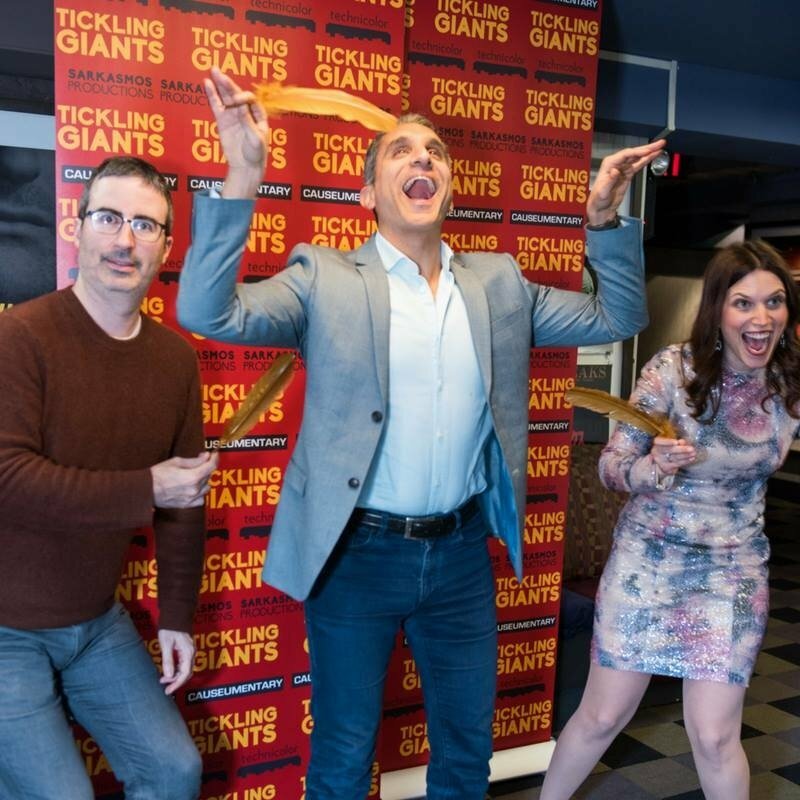 I hope this article has convinced you to watch "Tickling Giants", or if you have already watched it, reflect on the many positive aspects of the movie. Tickling Giants is daring, funny, and more timely than ever. I hope you get a chance to witness it.